Although the last time I visited Death Valley was January, 1973, I have visited this and other DV forums for at least 7-8 years. I grew up in central California, worked my way through college in a number of positions in Yosemite and finally accepted a seasonal ranger position in Yellowstone. I am now retired from law enforcement after almost a 29-year career and I stay busy with amateur history, archaeology, ATV touring, amateur radio, woodworking, etc. It is a bit too cool to pursue most of those hobbies on the east side of Yellowstone at the moment, so I have visited this forum quite a bit lately. I mostly read your excellent posts, but I have communicated with a few members. Keep up the good work! Welcome - quite a few of us aren't local to the Death Valley/ Panamint Valley, but we all enjoy the area. Do take the time to read our forum rules. They are very few, but we do avoid politics and religion, since it almost never ends well. I have visited Yellowstone once as a young man and enjoyed the experience. I saw a moose, and buffalo, and the Old Faithful. Woodworking is my profession. Need to talk on the subject, let me know. 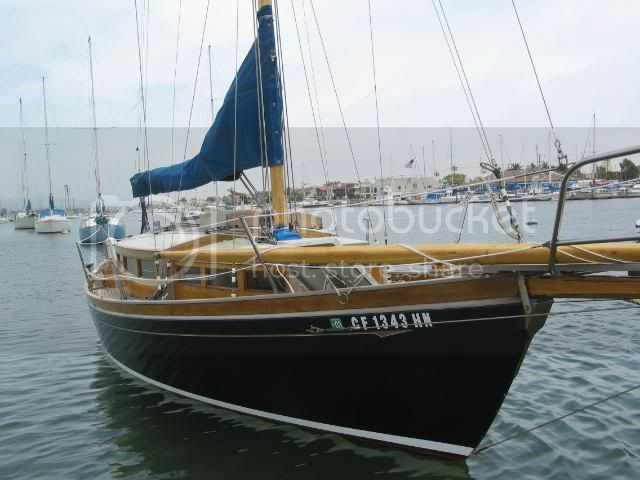 My great work is a sailboat I built about 30 years ago. I still have it. All the other stuff I do, is just another day at the office. Howdy Mr. B. Been a while since I heard from you. Glad to see you're still around. Oh well, moving along smartly!